Hugh Jackman has been adamant that he’s done with adamantium now that Logan is nearing release. And that means he won’t be showing up as Wolverine in a future Deadpool movie—no matter how hard Ryan Reynolds begs. Reynolds, for his part, really would like his and Jackman’s mutants to join forces. In interviews, he has mentioned multiple times that he wants to do a film that’s focused on the two characters. But Jackman’s not taking the bait. When asked about the possibility of ”teaming up” with Deadpool during a Facebook Live session, Jackman responded: “No, and Ryan is currently sleeping outside my house. He has a little picket fence going on there.” After that solid bit of Reynolds ribbing, he then took a turn for the serious. 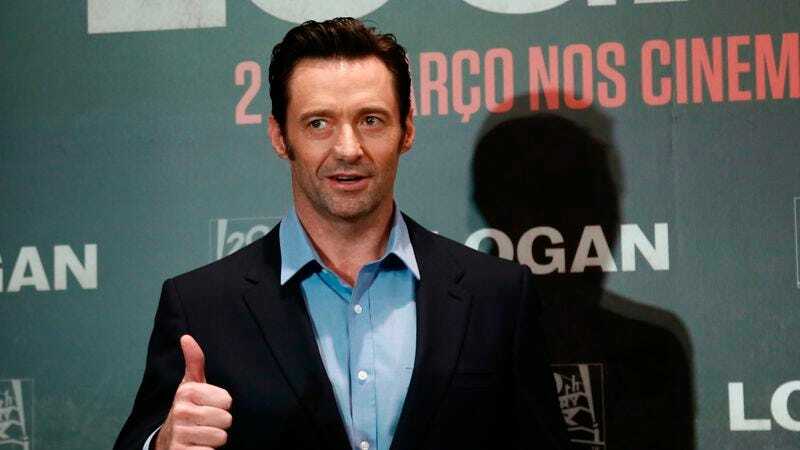 ”Look, if that movie had appeared 10 years ago, probably a different story, but I knew two and half years ago that this was the last one,” Jackman explained. “The first call I made was to [Logan director James Mangold]. I said, ‘Jim, I’ve got one more shot at this.’ As soon as Jim came up with the idea and we worked on it I was never more excited. But, it feels like the right time. Deadpool, go for it, man. Do your thing. You don’t need me.” Sorry, Ryan, seems like you’re going to have to just live with the sour memories of X-Men Origins: Wolverine.